There’s something quintessentially Australian about heading down to your local ‘bowlo’ for a shandy and a parma*. 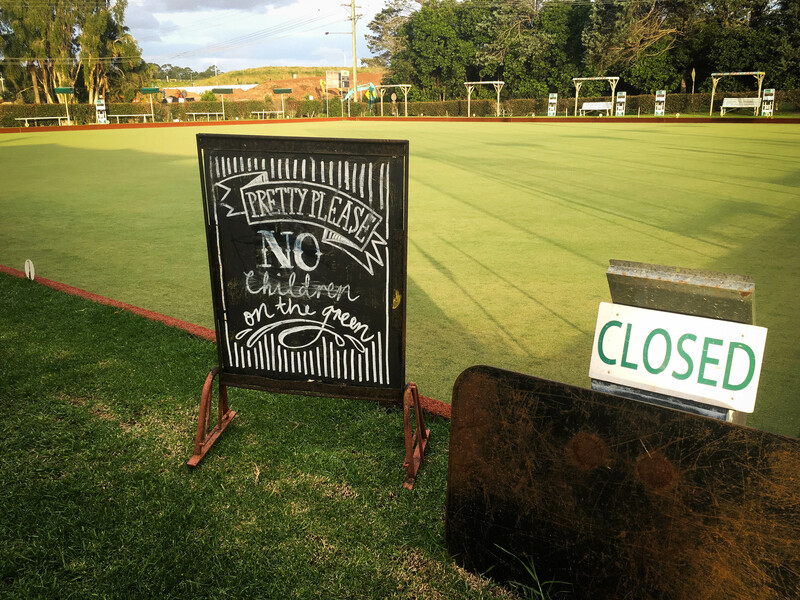 Even if you have no interest in playing lawn bowls as a pastime, the ‘bowlo’ offers a place for the local community to connect across generations thanks to barefoot bowls, well-priced drinks, value for money meals and active social clubs. 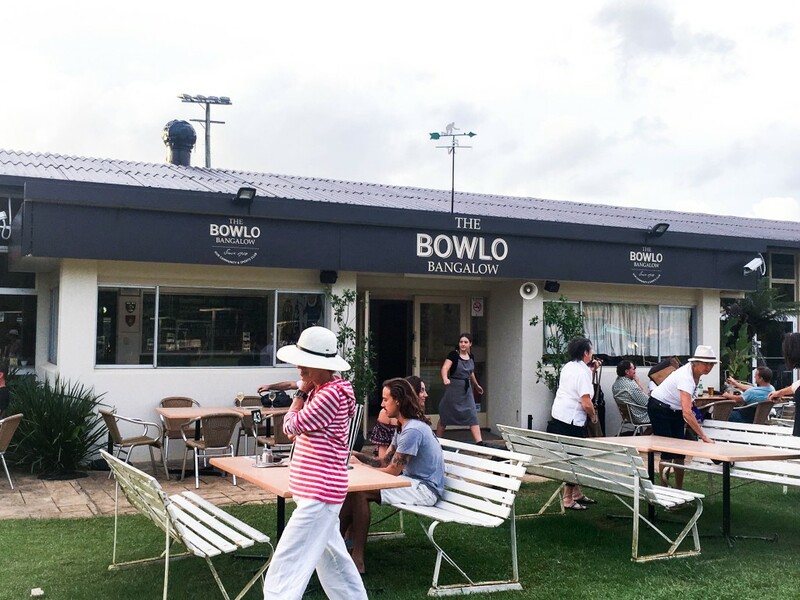 There seems to be a ‘bowlo’ in every town across Australia – just like Chinese restaurants. Come to think of it, many a Chinese restaurant has taken up residence in the local ‘bowlo’ – there might be a future blog in that! 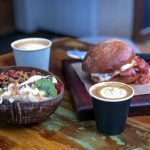 In Bangalow, our local ‘bowlo’ has been home to a variety of different restaurants over the years – from bistro style short order offerings to a cracking Thai kitchen that was hugely popular. 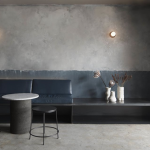 But I would have to say that the current kids in the kitchen – Gray and Jen Stockdale – and their restaurant The Stockpot Kitchen have truly taken the cake. From the moment the doors opened at The Stockpot Kitchen, those in the know around town were spreading the word. 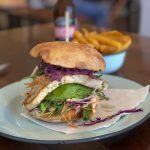 The consensus was that the food was great and it was definitely worth the wander to the other end of Bangas* for a relaxed dinner at good prices. Not wanting to miss out on all the fuss, we jumped on the bandwagon too, and we weren’t disappointed. 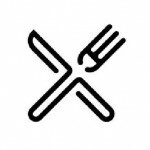 Open for dinner Tuesdays to Saturdays from 5.00pm and for lunch on Fridays from 11.30am The Stockpot Kitchen’s maxim is about ‘great food, local ingredients and prices of yesteryear’. Well I can say that the food is always fresh and flavoursome and the menu is definitely all about showcasing local ingredients. 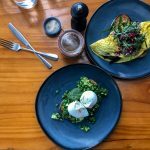 In 2012, it was Gray’s passion for using locally sourced ingredients that saw him win the Sydney Morning Herald Pub Food Guide award for “Best Use of Local Produce”. Oh, and did I mention that the prices are good too? The Stockpot Kitchen week starts with Tuesday Curry Night with meals priced from $12. There is a small blackboard selection of curries that change each week – think Vindaloo, Massaman and Jungle style flavours. There is always a Vego* option and I can recommend the homemade Roti Paratha on the side. 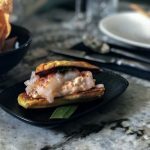 On Wednesday nights there are regular themed menus such as Burger-Geddon – a heaven for hamburger lovers, Spanish Paella and Creole Jambalaya. When I do a drive-by past the ‘bowlo’ on my way home from personal training the restaurant is full to overflowing – every week – no room at the inn! If the Southern Fried Chicken night is as good as everyone says it is I would be worried about the ‘Pringles effect’ – once you pop you can’t stop! The good news is that my trainer does take holidays several times a year. Joe – I give you permission to take a few weeks off anytime now! On non-themed nights of the week The Stockpot Kitchen menu is simple and tasty with something for everyone. I can recommend the Warm Salad of Broccoli, Kale and Pumpkin with Nuts, Seeds and Grains, Preserved Lemon, Chill and Tahini Dressing. It has so much flavour and goodness going on. If carbs are your calling then the King Prawn and Chorizo Spaghetti with Cherry tomatoes, Chilli, Mint and Pangrattata comes just as it sounds and is utterly satisfying. For meat lovers there is a Brisket Burger, Pulled Pork and a Rib Eye Steak with Gravox Gravy – just like Nanna used to make – and that’s before the specials! Direct from the specials board we recently enjoyed some spectacular Southern Fried Barramundi Wings with Hot Sauce and Ranch Dressing. What a showstopper! The presentation was amazing and the accompanying side of slaw cut through the spicy fish coating perfectly. Mr GFAF commented that it was one of the best fish dishes he has eaten in a while. 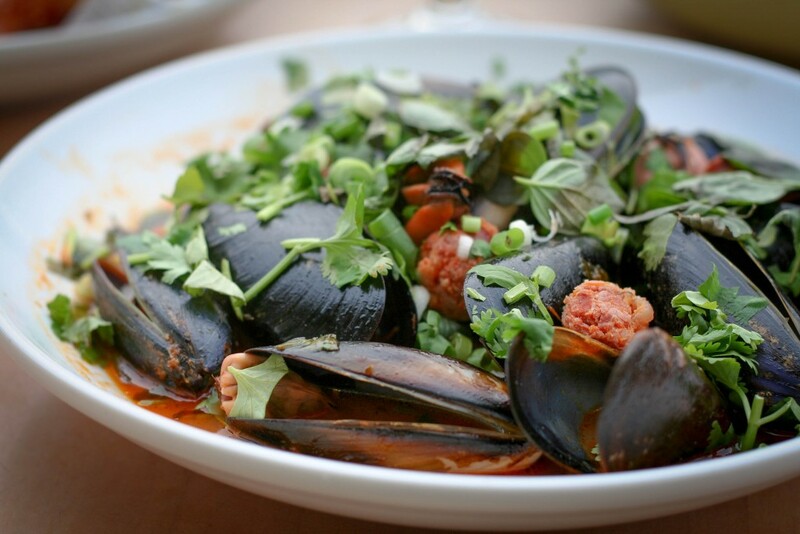 We also shared some Steamed Mussels with Chorizo, Chilli Jam, Coriander, Shallots and Bread. I would recognise the Salumi Australia Chorizo flavour anywhere and the bread came in handy to soak up the spiced broth. 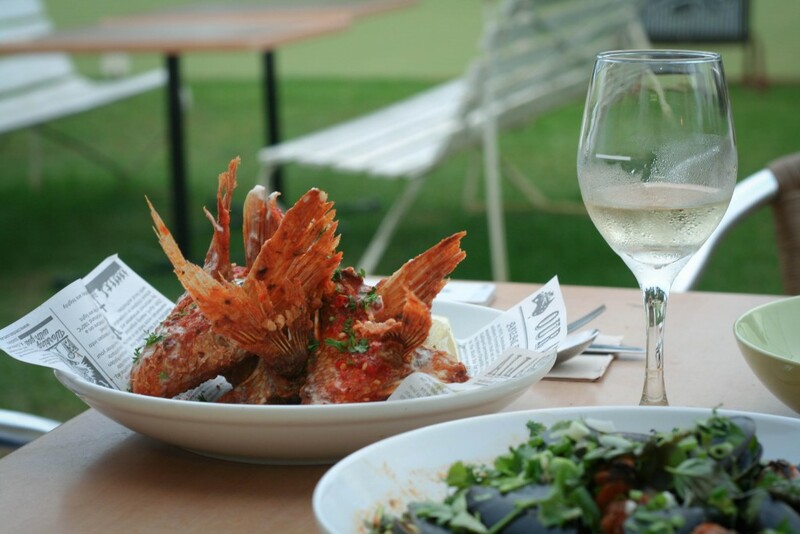 Washed down with some Pinot Gris by the glass on a balmy Friday evening as the sun was setting and kids and dogs were joyfully playing on the grass – it was a great way to end the week. If you’re free for Friday lunch there’s a fabulous burger menu with big American style flavours such as the Beef Brisket Burger with smoky barbeque sauce and the Rueben Burger with local pastrami and ham and Russian dressing. There are beer battered onion rings too! If you’re not up for a Burgers there are Fish and Salad dishes to choose from as well. Many of the meals can be prepared Gluten Free and the Kids’ Menu is a flat $8. The Stockpot Kitchen also has an extensive catering menu for your next special event. It all looks fantastic hope to visit soon.